Wholesale customers can shop in the Wholesale Center (former Welby Gardens Retail Store) as well as Greenhouse A. 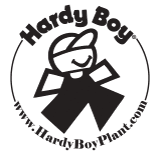 A big selection of Hardy Boy flowers will be available, including hard goods. We are no longer pulling same day orders, if the product is not available in the Wholesale. Order options- Online: hardyboyplant.com, Email: orders@hardyboyplant.com, Call: 303-288-3398 x3 or Fax: 303-287-9316 by 10am the day prior to pick up. Deliveries for self-pulled product are not available. All product must be taken the day it is selected. Price level is based on annual volume. Level 1: $0-$1,999. Level 2: $2,000-$49,999. Level 3: $50,000-$99,999. Level 4: $100,000-$1,000,000. Plants must be purchased in full flats only- no partial or mixed variety flats. Only 2 Gallons, 8” Pots, Hanging Baskets and Patio Pots are sold individually. To ensure premium quality, we will not accept returns on plant material that has already been accepted.Please be sure to order the correct amount, color and size of plant material and properly care for the plants. There are no guarantees on plant material. The customer accepts all responsibility for the health of the plants once they leave our facility. If an order has already been pulled and/or processed for pick up/delivery, a 20% restocking fee will be applied for any cancellations, date changes, or reductions. Changes to future orders must be made 2 business days prior to the original pick up/delivery date. Changes to at once orders (next business day) cannot be processed. Proper ID is required for Credit Card and Check payments. Checks are only accepted from established customers in good payment standing. All first time buyers will be on a C.O.D. basis (No checks will be accepted). All C.O.D deliveries must be paid by 10am the day prior to shipment. Any line of credit will be issued at the discretion of our accountants. Credit is an earned privilege and payment record has to be established for five years. All past due accounts will be charged a finance fee of 1.5% per month. Finance charges accrue the first day of delinquency. Prices are subject to change without notice. Orders taken between 7:30am-10am will be ready at 7:30am the next day. Orders taken between 10am-close will be ready at 7:30am the second day. Orders left for more than 2 days past pick up date will be canceled and set down and a 20% restocking fee will be issued. Orders taken between 7:30am-10am will be delivered the next day depending on route schedules. Orders taken between 10am-close will be delivered the second day depending on route schedules. Out of state orders must be placed by 10am MST on Monday for delivery that week. Delivery day/time will depend on truck availability and route schedule. Please fill out the Returns & Shortageform and return it with the driver. The form must be completed at the time of delivery and the plants must be returned with the driver. A credit will be issued by the sales staff. Acceptable reasons for rejecting plant material are: plant quality, damaged items, missing items, wrong size or wrong item shipped. In order to purchase wholesale, Welby Gardens requires that your business must be generally related to the horticulture industry (Retail Garden Center or Nursery, Professional Landscaper, Development Company that installs landscaping, or Government Agency). Welby Gardens reserves the right to qualify a customer based on the plant related nature of your business. We reserve the right to refuse service to any potential customer that is in close proximity to an existing customer.